We need to look after ourselves in terms of where we finish in the table - not rely on others. 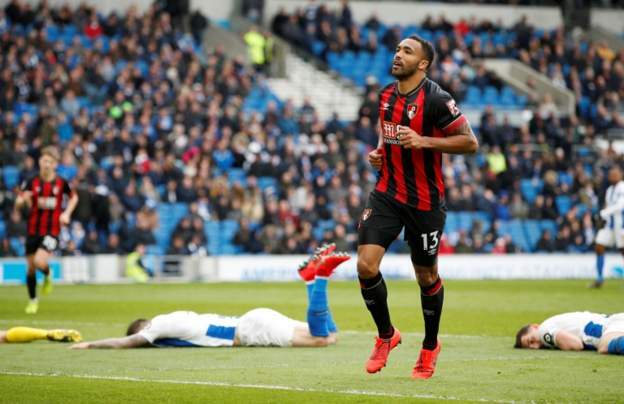 Personally I'm having a wonderful Saturday afternoon - Cardiff losing 1-0 and Brighton 3-0 down at home and down to 10 men against a previously very out of form Bournemouth. With the fixtures Brighton now have left looks like to me between them and Cardiff for the final relegation place. Brighton play Cardiff next at the Amex on Tuesday - now massive..!! I was thinking that maybe we wouldn't get another point either. Hoping it won't matter, but as of 81 minutes into the Cardiff Burnley game, Burnley are on the same points as us. Brighton v Cardiff gonna be a blockbuster,and Brighton have no knockhart for three games affter his straight red. He shoud've been sent off against us. Poss extra game ban for Knockhart for the severity of tackle. FA/PL will be looking into the incident. And Burnley now 2 up. Not looking good for Mr. Warnock. Lovely scenes. We've put in some crap performances this season but we've not been humiliated like that. Some tough fixtures but I can still see them finishing above Cardiff. Not sure if this will work but great picture of downed "Seagulls" from BBC sport online feed of the game.